No other construction company in the Missoula, MT area can match our proficiency or our prices. The work we do here at Nickelson Construction is of the highest craftsmanship and design. It is important to us as a construction company to be proud of what we build and to make our clients proud of their homes and commercial buildings. 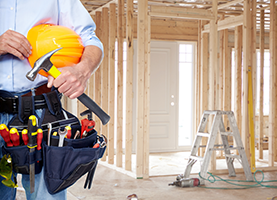 For us, general contractor work is about more than simply getting the job done on time and under budget. It is about building a better place to live and work for our valued clients. That is why you can count on very attentive service when you work with us. 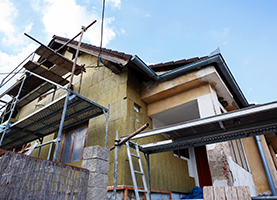 If you live in Missoula, MT and have been thinking about starting a construction project, make sure you consult with us here at Nickelson Construction. We will offer our expert advice and give you the insight into your project that only a professional company with years of experience can give. It would be our pleasure to assist you in your construction endeavors and be a part of the development of Missoula, MT. All of our past customers have been thrilled with our work and you will be too. 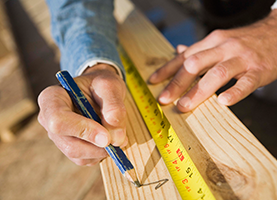 We offer a wide variety of construction service, but the constant in all of the work that we do is quality. By not skimping on materials or attention to detail, we are able to achieve great things. Professional results do not come at an extra charge here at Nickelson Construction. We work hard because this is what we love to do. We love to see the fruits of our labor and the smiles on our customers’ faces when they see what we have created for them. Call us right now for free estimates!